Vulnerabilities Discovered by Lilith [x_x] of Cisco Talos. Cisco Talos is disclosing multiple vulnerabilities in the firmware of the Yi Technology Home Camera. 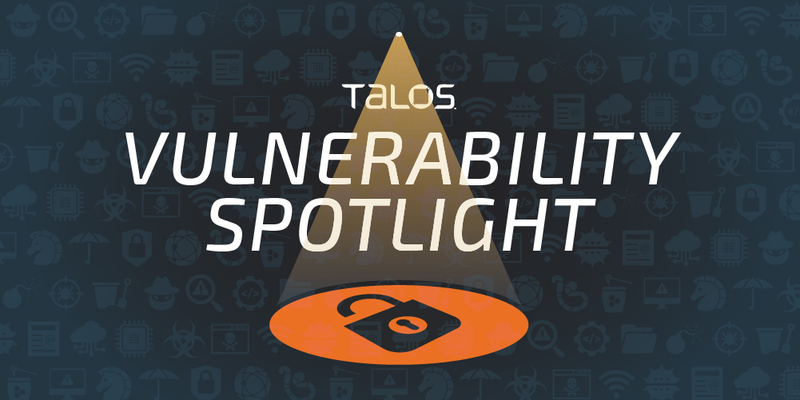 In order to prevent the exploitation of these vulnerabilities, Talos worked with Yi Technology to make sure a newer version of the firmware is available to users. These vulnerabilities could allow an attacker to gain remote code execution on the devices via a command injection, bypass methods of network authentication, or disable the device. The Yi Home Camera is an internet-of-things (IoT) home camera sold globally. The 27US version is one of the newer models sold in the U.S. and is the most basic model out of the Yi Technology camera lineup. It includes all the functions that one would expect from an IoT device, including the ability to view the camera's feed from anywhere, offline storage, subscription-based cloud storage and easy setup. Disable the camera to prevent it from recording. Delete stored videos on the camera. View video feeds from the camera. Potentially launch attacks against the camera owner's phone app. Act as a foothold into the home network to attack other devices inside. This list is not complete, and many other consequences could occur, so Talos highly recommends that the devices are patched as soon as possible via the Yi Home application. Since this July, attackers are increasingly spreading sextortion-type attacks across the internet. Cisco Talos has been investigating these campaigns over the past few months. In many cases the spammers harvested email addresses and passwords from a publicly available data breach, and then used this data to facilitate their sextortion attacks. While the attackers do not actually have any compromising videos showing the victim, the emails claim to have explicit videos that they will distribute if the victim doesn't pay the extortion payment by a certain time. By including the recipient's password along with their demands for payment, the attackers hope to legitimize their claims about having compromising material concerning the victim. While these attacks have been in the wild for months, Talos wanted to take a closer look at some of these campaigns to see why users were being tricked into sending the attackers large amounts of bitcoin despite the attackers' empty threats. By examining some of the sextortion spam campaigns in detail, our researchers were able to gain insight into how these criminals operate. Cisco Talos' Vulnerability Discovery Team investigates software and operating system vulnerabilities in order to discover them before malicious threat actors. We provide this information to vendors so that they can create patches and protect their customers as soon as possible. We strive to improve the security of our customers with detection content, which protects them while the vendor is creating, testing, and delivering the patch. These patches ultimately remove the vulnerability in question, which increases security not only for our customers but for everyone. Once these patches become available, the Talos detection content becomes public, as well. You can find all of the release information via the Talos vulnerability information page here. Over the past several years, our research team has improved the pace at which we disclose vulnerabilities. 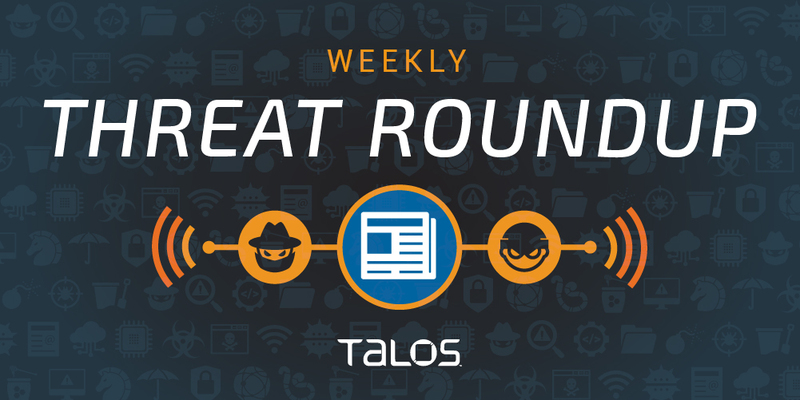 Talos increased the number of vulnerabilities it disclosed 22 percent year-over-year, and we hope to continue to grow that number. As of Oct. 23, Cisco has updated it's vendor vulnerability and discovery policy. You can read the complete details here. 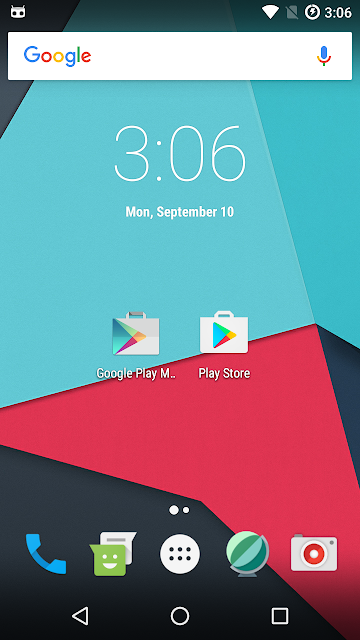 Cisco Talos published its findings on a new Android trojan known as "GPlayed" on Oct. 11. At the time, we wrote that the trojan seemed to be in the testing stages of development, based on the malware's code patterns, strings and telemetry visibility. Since then, we discovered that there's already a predecessor to GPlayed, which we are calling "GPlayed Banking." Unlike the first version of GPlayed, this is not an all-encompassing banking trojan. It is specifically a banking trojan that's looking to target Sberbank AutoPay users, a service offered by the Russian state-owned bank. GPlayed Banking is spread in a similar way to the original GPlayed. It's disguised as a fake Google app store, but actually installs the malware once it's launched. This further illustrates the point that Android users need to be educated on how to spot a malicious app, and that they should be careful as to what privileges they assign to certain programs. The malicious application is on the left-hand side. Today, Talos is is publishing a glimpse into the most prevalent threats we've observed between Oct. 19 and Oct. 26. As with previous roundups, this post isn't meant to be an in-depth analysis. Instead, this post will summarize the threats we've observed by highlighting key behavioral characteristics, indicators of compromise, and discussing how our customers are automatically protected from these threats. Piotr Bania, Cory Duplantis and Martin Zeiser of Cisco Talos discovered this vulnerability. Today, Cisco Talos is disclosing a vulnerability that we identified in the MKVToolNix mkvinfo utility that parses the Matroska file format video files (.mkv files). MKVToolNix is a set of tools to create, alter and inspect Matroska files on Linux, Windows and other operating systems. Matroska is a file format for storing common multimedia content, like movies or TV shows, with implementations consisting of mostly of open-source software. Matroska file extensions are MKV for video, MK3D for stereoscopic video, MKA for audio-only files and MKS for subtitle-only files. Cisco Talos is disclosing two vulnerabilities in Sophos HitmanPro.Alert, a malware detection and protection tool. Both vulnerabilities lie in the input/output control (IOCTL) message handler. One could allow an attacker to read kernel memory contents, while the other allows code execution and privilege escalation. Both vulnerabilities were patched by Sophos in version 3.7.9.759. Recorded Oct. 19, 2018 — In celebration of episode No. 40 and hitting over 1 million downloads(!!! ), we go XL. 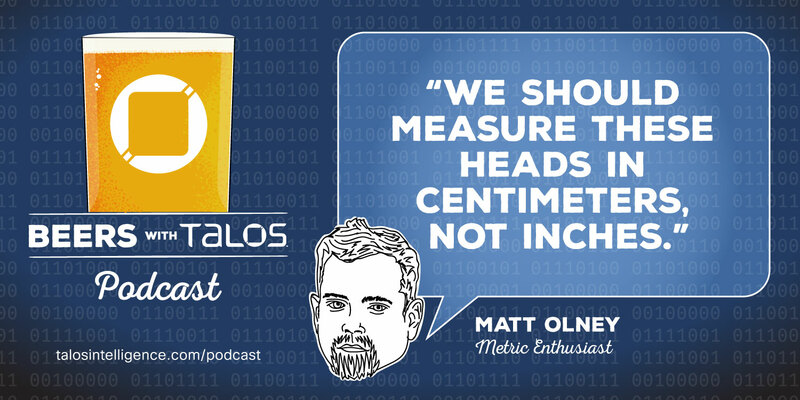 This episode is a bit long, but we go a bit deeper than usual to discuss a few things that are highly unusual — namely, the extra-large patches dropped by Oracle, and the extra-large questions surrounding the Bloomberg/Super Micro story. 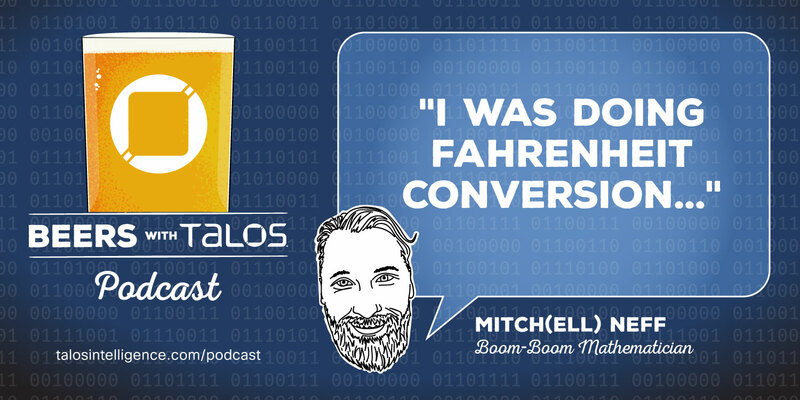 We also talk about a few mobile threats we have seen and what we have brewing in the mobile threat space. Recorded Oct. 5, 2018 - We start out with a quick chat to get to know this week’s special guests from the Talos Outreach team: Paul Rascagneres, Vanja Svajcer and Warren Mercer. We discuss everyone’s work that was presented at Virus Bulletin, as well as Paul and Warren being nominated for the Péter Szőr Award. We also cover a lot of vulnerability discovery work that we recently released around various PDF software. This blog post is authored by Ashlee Benge and Jungsoo An, with contributions from Dazhuo Li. Although each campaign employed custom tools, Talos has observed recurring patterns in the actor's use of infrastructure, from overlaps in hijacked command and control (C2) domains to differing campaign C2s resolving to the same IP. These infrastructure patterns indicate similarities between the Datper, xxmm backdoor, and Emdivi malware families. In this post, we will dive into these parallels and examine the methods used by this actor. These vulnerabilities were discovered by Lilith Wyatt of Cisco Talos. Cisco Talos is disclosing a code execution vulnerability that has been identified in Live Networks LIVE555 streaming media RTSPServer. LIVE555 Streaming Media is a set of open-source C++ libraries developed by Live Networks Inc. for multimedia streaming. The libraries support open standards such as RTP/RTCP and RTSP for streaming, and can also manage video RTP payload formats such as H.264, H.265, MPEG, VP8, and DV, and audio RTP payload formats such as MPEG, AAC, AMR, AC-3 and Vorbis. It is used internally by well-known software such as VLC and MPlayer. An exploitable code execution vulnerability exists in the HTTP packet-parsing functionality of the LIVE555 RTSP server library, which is not part of media players, but interacts with them. A specially crafted packet can cause a stack-based buffer overflow, resulting in code execution. An attacker can send a packet to trigger this vulnerability. These vulnerabilities were discovered by Jared Rittle of Cisco Talos. Cisco Talos is disclosing several vulnerabilities in the operating system on the Linksys E Series of routers. Multiple exploitable OS command injection vulnerabilities exist in the Linksys E Series line of routers. An attacker can exploit these bugs by sending an authenticated HTTP request to the network configuration. An attacker could then gain the ability to arbitrarily execute code on the machine. This blog post was authored by Edmund Brumaghin and Holger Unterbrink with contributions from Emmanuel Tacheau. Cisco Talos has discovered a new malware campaign that drops the sophisticated information-stealing trojan called "Agent Tesla," and other malware such as the Loki information stealer. 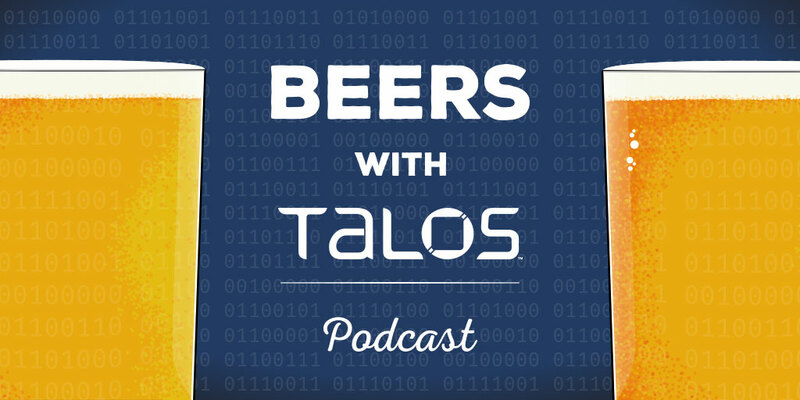 Initially, Talos' telemetry systems detected a highly suspicious document that wasn't picked up by common antivirus solutions. However, Threat Grid, Cisco's unified malware analysis and threat intelligence platform, identified the unknown file as malware. The adversaries behind this malware use a well-known exploit chain, but modified it in such a way so that antivirus solutions don't detect it. In this post, we will outline the steps the adversaries took to remain undetected, and why it's important to use more sophisticated software to track these kinds of attacks. If undetected, Agent Tesla has the ability to steal user's login information from a number of important pieces of software, such as Google Chrome, Mozilla Firefox, Microsoft Outlook and many others. It can also be used to capture screenshots, record webcams, and allow attackers to install additional malware on infected systems. In a world where everything is always connected, and mobile devices are involved in individuals' day-to-day lives more and more often, malicious actors are seeing increased opportunities to attack these devices. 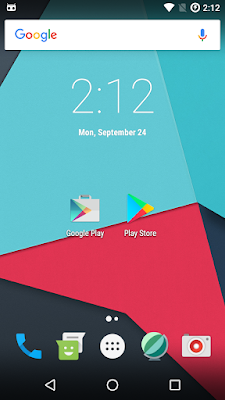 Cisco Talos has identified the latest attempt to penetrate mobile devices — a new Android trojan that we have dubbed "GPlayed." This is a trojan with many built-in capabilities. At the same time, it's extremely flexible, making it a very effective tool for malicious actors. The sample we analyzed uses an icon very similar to Google Apps, with the label "Google Play Marketplace" to disguise itself. These vulnerabilities were discovered by Marcin Noga of Cisco Talos. Today, Cisco Talos is disclosing a vulnerability in the WindowsCodecs.dll component of the Windows operating system. WindowsCodecs.dll is a component library that exists in the implementation of Windows Imaging Component (WIC), which provides a framework for working with images and their data. WIC makes it possible for independent software vendors (ISVs) and independent hardware vendors (IHVs) to develop their own image codecs and get the same platform support as standard image formats (ex. TIFF, JPEG, PNG, GIF, BMP and HDPhoto). Today, Cisco Talos is disclosing a vulnerability in VMware Workstation that could result in denial of service. VMware Workstation is a widely used virtualization platform designed to run alongside a normal operating system, allowing users to use both virtualized and physical systems concurrently. In order for the graphics to be produced, the graphics accelerators need to process the OpenGL scripts into actual graphics. That process is named "shader compilation." On the Intel Graphics accelerator, this is done inside the igdusc64 dynamic linked library (DLL), and this is where the vulnerability exists. Cisco Talos is releasing details of a new vulnerability in Google PDFium's JBIG2 library. An exploitable out-of-bounds read on the heap vulnerability exists in the JBIG2-parsing code in Google Chrome, version 67.0.3396.99. A specially crafted PDF document can trigger an out-of-bounds read, which can possibly lead to an information leak. That leak could be used as part of an exploit. An attacker needs to trick the user into visiting a malicious site to trigger the vulnerability.